Keeping our air safe and clean by reducing pollution is one of the key roles of government at European and international levels. Solvents in products such as coatings, inks, and consumer products can emit substances into the air known as Volatile Organic Compounds (VOCs). VOC emissions from solvent-based products are regulated to protect air quality. The European Solvents industry has shown continuous commitment to improve air quality by contributing to the reduction of total VOC emissions in the EU by more than 60% since 1990. Our industry complies with EU legislation on VOC emissions. As part of their commitment to Responsible Care, ESIG members often go beyond these regulations to protect air quality. ESIG supports the revised National Emission Ceilings Directive (NECD), which sets out emission reduction targets up to 2030 for each EU Member State consistent with the Gothenburg Protocol. Modern solvents can extend the life of materials used in everything from cars to bridges, which is why ESIG believes that further VOC restrictions will negatively impact the sustainability and efficiency of solvents. Emission reduction measures should be pragmatic in terms of costs and technical feasibility while ensuring clear environmental benefits. 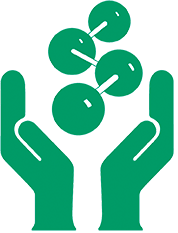 a) Together with the major Downstream Users of solvents, ESIG has organized ESVOC, a co-operation platform to facilitate the implementation of relevant existing legislation. It currently consists of representatives of almost 30 different associations that meet once a year in the CORE GROUP to review the workprogramme and define strategies. In addition, two working groups work on harmonising approaches and collecting data. They also provide advice and exchange best practices in different areas. One of them deals with industrial applications, the other with professional and consumer applications and addresses topics such as indoor air quality and secondary organic aerosol formation. member in UNECE Taskforce Emission Inventories and Projections (TFEIP) & Technical Economic issues (TFTEI). We have been invited to participate to the EU Commission’s ad hoc expert group on a holistic approach to indoor air quality that strive to develop a guidance document for people involved in building construction. ESIG leads research to proactively document the decrease in VOC emissions from solvents based on sales data in EU Member States. Data from this research is compiled into what is known as the ESIG Inventory. Inventory data has revealed that VOC emissions from the solvent sector have been generally over-estimated. Insights like this help lawmakers to make evidence-based policies using actual emissions data. The Inventory also helps Member States to meet VOC regulatory requirements under the National Emission Ceilings Directive. Inventory results are supported by the European Monitoring and Evaluation Programme (EMEP), the International Institute for Applied Systems Analysis (IIASA), leading European experts and officials in EU Member States. Working with EU and national regulators to encourage the industry to develop new products that meet sustainability targets without compromising performance. Since most organic solvents rapidly biodegrade and have relatively low eco-toxicity, they do not persist in the environment. We can further control emissions from solvents through incineration and recycling. Industry has also developed specialised technology to reduce VOC emissions. Booths that spray paint on cars, for example, can reduce VOC emissions by 30-50% according to the European Automobile Manufacturers Association (ACEA). The use of recuperative or regenerative oxidisers in coil coating installations also reduces VOC emissions by as much as 50% compared to traditional thermal oxidisers (ECCA). 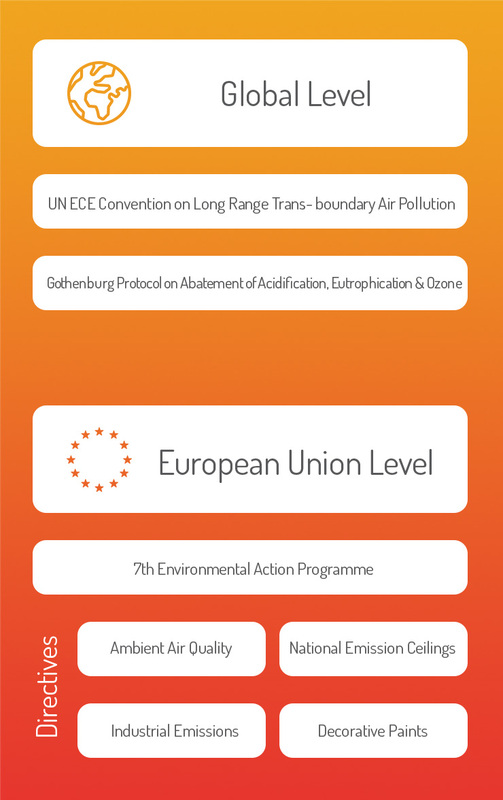 The Solvents Industry is committed to the improvement of air quality in Europe, and has been closely following scientific developments on air pollution. Already in 2006 ESIG commissioned two models and examined the results of a third independent model to project ozone levels following certain VOC regulatory measures. Chimere Model developed by L’Institut National de l’Environnement Industriel et des Risques (INERIS) and used in French Government scenarios. LOTOSEUROS Model developed by Nederlandse Organisatie voor Toegepast-Natuurwetenschappelijk Onderzoek (TNO) in the Netherlands. Harwell Trajectory Model developed independently by Professor Richard Derwent and used to evaluate European ground-level ozone trends from 1990-2008. Both the INERIS and TNO models showed that once current legislation is fully implemented, further reductions in VOCs emissions will not significantly reduce ozone. Legislators and industry should therefore focus on implementing existing legislation rather than introducing additional VOC legislation.The Harwell model showed that the solvents industry has substantially contributed to reducing ground-level ozone. The Solvents Emissions Directive has also had a significant positive impact on air quality. Our industry has to comply with all the legislation below. As part of their commitment to Responsible Care, ESIG members often go beyond these regulations to protect air quality. ESIG’s Vapour Pressure Tool helps you to determine the VOC status of hydrocarbon solvents. It’s key to help you comply with EU legislation on solvents. Human-made VOCs declined by 60% since 1990. On average half as much solvent is used in manufacturing today compared to 1980. Air quality is a principal factor impacting upon the welfare, health and climate on our planet. The subject is complex considering the emissions from many sources (natural and man-made), the atmospheric chemical reactions of these emissions and the trans- boundary air pollution between continents. There are two main challenges. VOCs contribute to ground-level ozone in the presence of sunlight and nitrogen oxides (NOx). Ozone peaks primarily occur in summer, downwind of large urban areas. Volatile Organic Compounds (VOCs) are both man-made such as from vehicle emissions and power plants, or the result of natural emissions from trees and plants. Next to ozone formed by photochemical reaction between nitrogen oxides (NOx) and volatile organic compounds (VOCs) in sunlight, there are also Particulates, PM2.5, which are primary such as emitted in diesel engine exhaust, and secondary formed by chemical reactions in the atmosphere such as ammonium sulphates, ammonium nitrates and secondary organic aerosols. Particulates-mainly fine particles of less than 2.5 microns, PM2.5 -can penetrate the passages in the lungs. It is believed that it is the number of small particles rather than their chemical composition which most affects our breathing. A new field of research is the Secondary Organic Aerosol (SOA) formation which then attribute to PM2.5 . In summer months in Europe, urban Particulates of small diameter (PM2.5) consist of primary particulates which originate mainly from the tailpipe of diesel engines. These constitute approximately 50% of the total PM2.5. Secondary particles, the most important of which are inorganic formed by the oxidation of sulphur dioxide and nitrogen oxides with ammonia, producing ammonium sulphates and nitrates, constitute the remaining 50% of PM2.5. These inorganic secondary aerosols are dominated by ammonium nitrates which account for at least 30% of PM2.5 following the continued decline of sulphur dioxide in European air. Secondary organic aerosols (SOAs) are formed in much smaller amounts from the chemical degradation of hydrocarbons (principally terpenes from Biogenic sources) in the atmosphere. It cannot be said today that solvents are massively attributing to SOA formation.